Tori Shin - Kampai! : Kampai! There are few places in New York City where you legitimately feel like you could be sitting in Tokyo. Most places are either too big or too small or the proportions of the space are just off in some subtle way. Perhaps there’s a Latino bus boy or English signage. There’s almost always something that gives away that we’re in the U.S. At Tori Shin you have to look very, very closely and the evidence only appeared in early 2012. On the wall near the entrance tucked between two striking Akira Kurosawa prints is a Michelin Star. Yes, these stars appear in restaurants in Tokyo even more often than they do in restaurants in New York, but it’s the one hint that you’re not sitting at a yakitori counter in Japan. Everything else is completely authentic. From the completely Japanese staff to the use of traditional Japanese coals for grilling there are fine details that simply speak to quality. The large staff of chefs work together to prepare the food, cook the food, seat the tables, and serve the guests. Everyone chips in to make the experience a memorable one for the customers. Sometimes you’ll see the 1st assistant to the head chef collecting dirty glasses or making change out of the register. Can you imagine the sous chef taking on those kinds of tasks at an American restaurant? The space itself is simple yet elegant. A former sushi house converted to a dedicated yakitoriya. Two grills dominate the corners of the square counter space. A handful of small tables by the window are the only other seats. With just 30 or so seats in the entire place, reservations are a must. Normally we kick off our izakaya reviews with the booze, but in the case of Tori Shin it only makes sense once you understand the food, because the food is clearly the star here. Yakitori is grilled chicken, but at Tori Shin it’s so much more than that. They start with chickens from a single farm in Pennsylvania. Fifteen to twenty birds are freshly slaughtered and delivered to Tori Shin each morning. The staff spends the entire day prepping the birds for that night’s dinner. From each bird they get approximately 40 different cuts of chicken and some skewers, such as the special heart skewer (“tori shin” means “chicken heart”), required 4 chickens for one skewer. Other skewers require even more. Needless to say, the restaurant orders extra organs from the farm, which other restaurants would not use. It might be easier to suggest what to avoid rather than what to try. There is not a dish on the Tori Shin menu that doesn’t stand out. A couple items that are truly unique even among yakitori restaurants in NYC are the ichiyaboshi and the chicken sashimi (no longer on the menu). Ichiyaboshi is chicken tenderloin, which is marinated in a secret recipe sauce overnight, and then hung to dry for another 24 hours. Only then is it ready to grill. It’s then sliced and served with a side of Japanese mayo. Plan on more than one order. The chicken sashimi was absolutely amazing. Chicken breast flash seared and then thin sliced served with a side of citrus ponzu dipping sauce. It tastes like chicken is supposed to taste, yet with a texture unlike any other chicken dish. The omakase (chef’s choice) menu is worth considering. The chef chooses the skewers based on your preferences (organs? skin? cartilage?) and what’s best that day. Considering that the tasting menu at Nobu or any of the big sushi houses can easily range from $100 to $150 per person, the $55 omakase at Tori Shin is a downright bargain. There is also a 10 skewer set for $50 that doesn’t come with appetizers, a rice dish, or dessert (all included in the omakase, which includes 6 skewers instead of 10). Since most skewers range from $4 to $9, these sets can be a cost effective way to try a lot of the menu. While this is arguably the best yakitori restaurant outside of Japan, it is hard to ignore the mentai ochazuke, which is rice and cod roe in a “tea” soup. The tea is actually dashi broth, but the dish is just outstanding. Also worth noting is the amazingly refreshing shiso sorbet, which because it is mainly ice, manages to easily melt into the gaps in your already full belly. While the food is the star at Tori Shin, there has been a lot of attention paid to the drink menu. Draft Sapporo provides the standard Japanese lager most yakitori lovers expect, but the shochu list is exceptional. 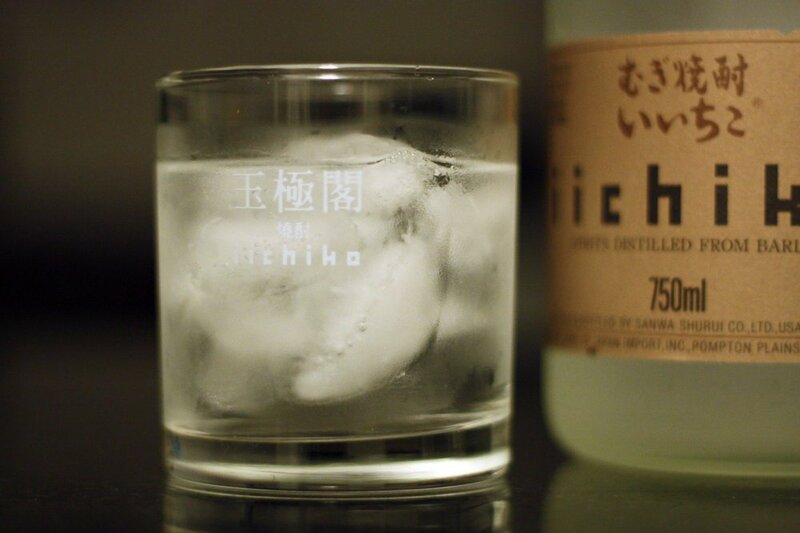 The chef has carefully selected shochus that pair particularly well with yakitori skewers. While the list is short, they are all excellent. The three that deserve special mention are three imo (sweet potato) shochus: Satoh, Tenshi no Yuwaku, and Manzen. None of them have been reviewed yet on Kampai, but all are excellent. 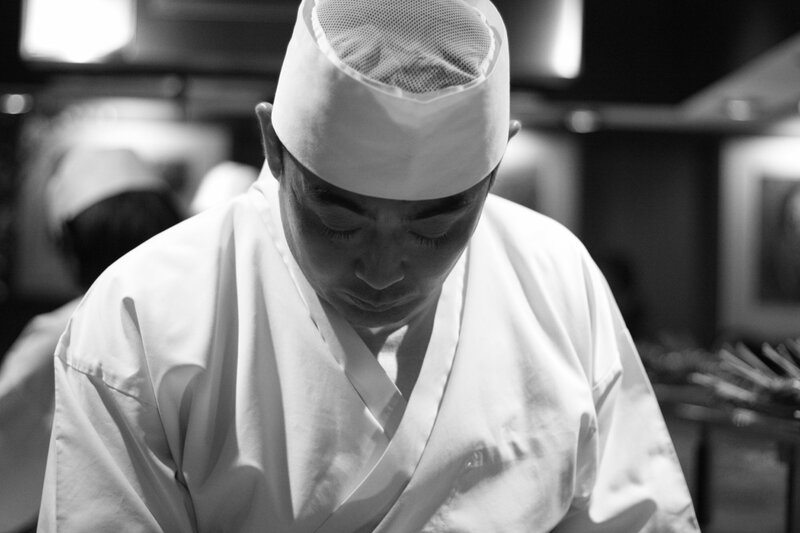 In fact, Manzen is so uncommon that Tori Shin is the only restaurant in NYC where we’ve found it. Just 100 1.8L bottles were imported to the U.S. last year and 20 of those came to Tori Shin. 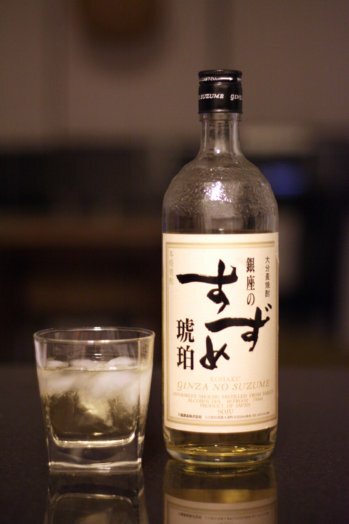 There is also a notable sake list and wine for those who would prefer a completely different experience. Opus One even makes an appearance on the wine list, which may be the only time you’ll ever see that on an izakaya menu. While it may be difficult to strictly call Tori Shin an izakaya, they never rush their guests and the alcohol flows freely and pairs very nicely with the food. The Michelin Star hanging on the wall is testament to the outstanding food, but the place is so much more than that. It’s a dining experience unique to New York. Other yakitori restaurants are very good, but this stands head and shoulders above the others in both quality and presentation. This singular experience is one that everyone should have. We find ourselves going back time and again and the magic of the evening is never lessened.